When I was a child, I had the mother that wanted to do it all. (I still have her and she is still going strong!) Some of my fondest memories include my birthday parties. 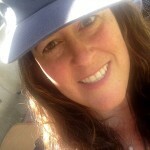 She always had a theme, games, a homemade cake & a lot of kids to help celebrate. I believe that is why my children’s birthday parties have been so important to me. 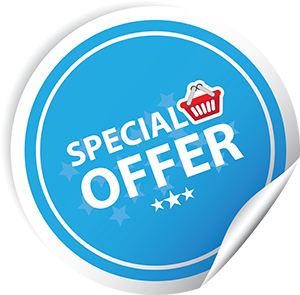 My children are only going to have so many birthdays where they want to have all of their friends over so I want to make the most of the opportunity while it is available to me. For me, parties have never been about outdoing the other parents or spending the most money. There have been times that I have spent very little money but put in a lot of effort, a lot of time. 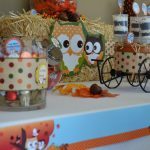 It is about making the party memorable for my kids, letting them help choose the theme and allowing me to be creative and give the party as a gift to my child. 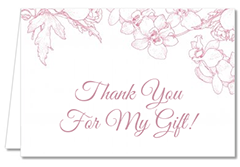 I felt it was important to give you that background so you can begin to see how & why different ideas are formulated. 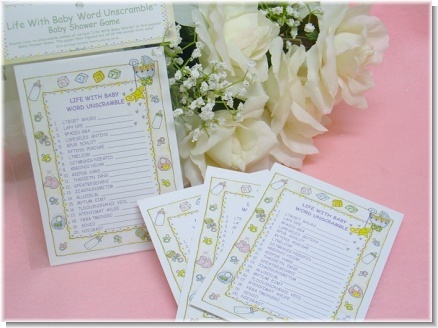 I was thrilled when Candles and Favors offered me the opportunity to create party ideas for their website. 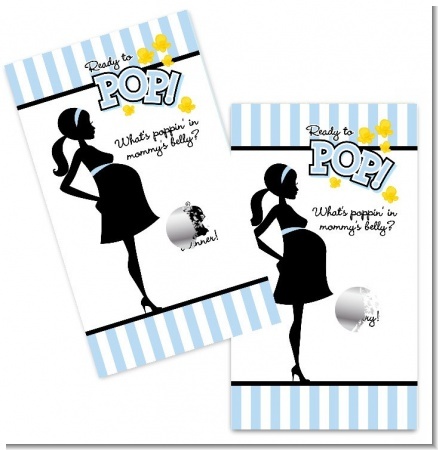 As you can see, they have fantastic, adorable products and you can find just about any theme you are looking for! 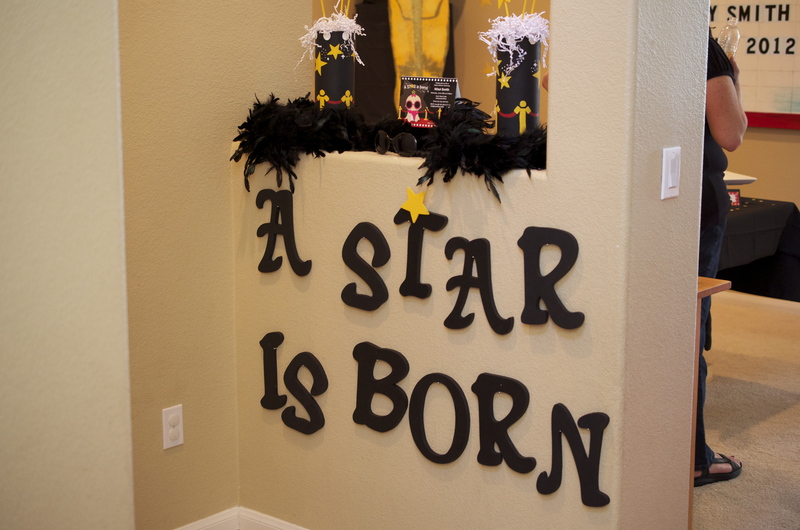 For my first assignment, I focused on their “A Star Is Born” theme. Whenever I begin to plan a party, I get a version of “writer’s block”. 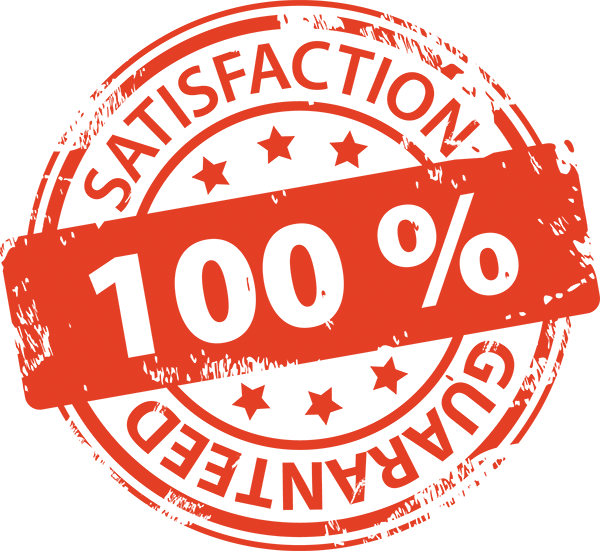 My brain freezes up and I think I can’t possibly create a party filled with new or unique ideas. That lasts for a moment or two and then the ideas start flowing. 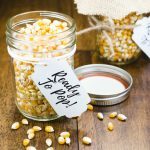 When I plan a party, I typically find a pattern that I want to use within the party and then elaborate or embellish that idea. 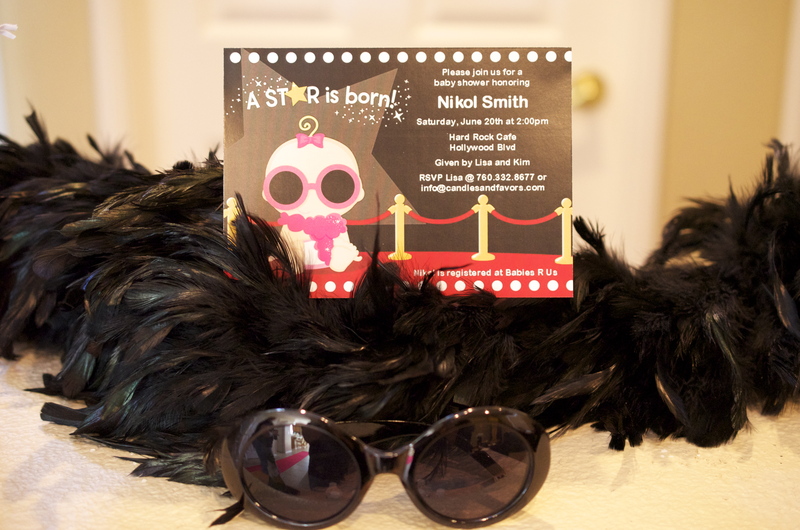 With the “A Star Is Born” theme, I opted to use their invitations to begin with. For past parties, I have made invitations but that is VERY time consuming and often difficult to find the right size envelope. 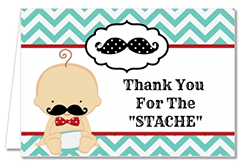 The invitations for this theme by Candles & Favors was so cute, I wanted to use that to introduce the guest to the theme that would be greeting them at the baby shower. I feel the invitation sets the expectation. You will notice that this theme focuses on Hollywood, red carpets, sunglasses, boas. My ideas continued from there. I wanted to mimic many of these items in other areas of the party. I am going to walk you through the party as if you had been a guest at this baby shower. When you arrived, you would’ve noticed a large movie clapboard with all of the details of the party. As I mentioned above, a party doesn’t have to be about spending as much money as possible. I do my best to borrow items from wherever I can. In this case, I was able to borrow this clapboard from our local community theatre. I covered the front door in black butcher block paper and made a VIP Entrance sign. 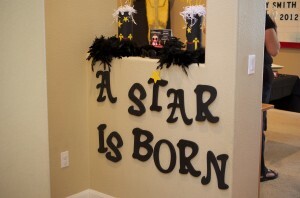 Cute Star is Born Hollywood Baby Shower Clapboard idea for the front of the house. As the guests arrived inside the house, I wanted to have something different grab their eye. I purchased black letters and hung them on the wall. (My husband was thrilled that I added more nail holes into the wall!) I added a bright yellow star onto one of the letters as well. I like to bring in subtle detail into as many areas as I can. In the end, it is all these little touches that pull together the entire look and feel of a party. The letters were hung beneath an open window ledge that I decorated. 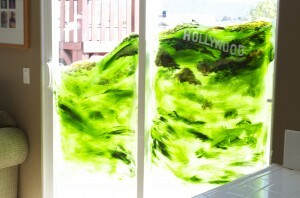 In the window ledge, I had 2 handmade centerpieces, a large, full black feather boa, the invitation and a pair of sunglasses. 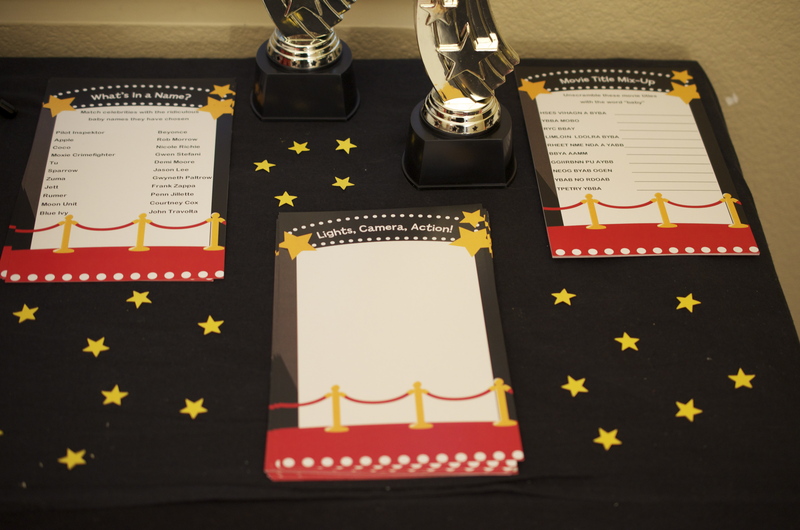 I loved the idea of displaying the invitation at the party itself. I actually stuck 2 invitations together so that set up was complete from either side of the window. If you are planning your own Hollywood themed party, another idea I didn’t have time to execute is adding paparazzi! I would take the same black butcher block paper and make silhouette’s of photographers and line them along a front hallway so that guests feel like their picture is being snapped as they come in the door. You could add a velvet rope in front of the paparazzi shadows to add dimension and the feeling that they are behind the velvet rope. I also added a red carpet that ran down my hallway. The entire party was staged in my dining room. However, I wanted to have something draw the eye’s of the guests down the hallway so I had my friend paint a mural on my sliding glass door. 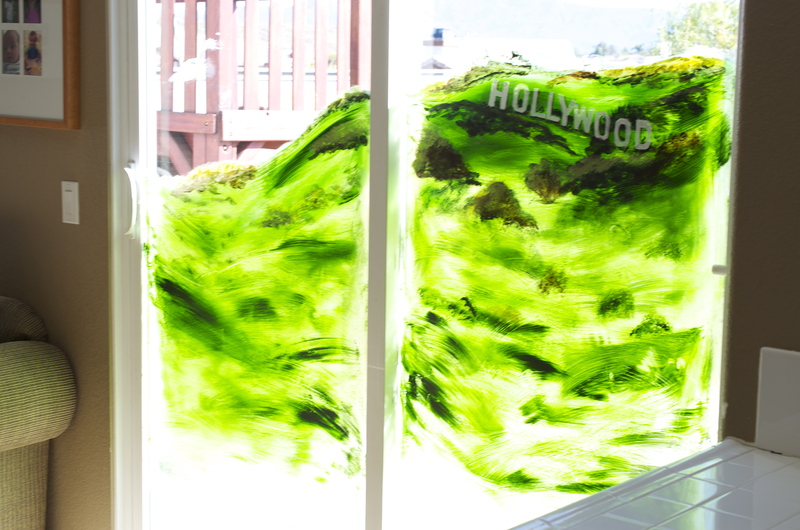 It was a mural of the Hollywood Hills with the Hollywood sign. I loved idea of the hills & sign off in the distance! Just as little details throughout the party are important, I think it is great to have a few items that add a WOW factor! 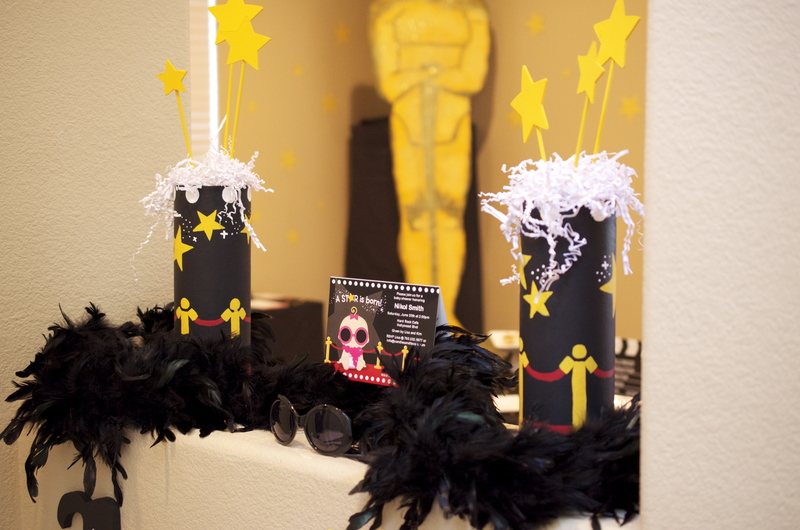 The large Oscar statues were one of the choices that I feel added a lot to the room! These were also borrowed from our local Theatre. 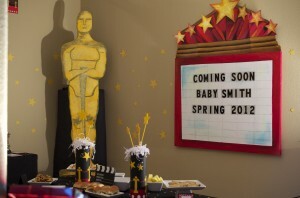 My friend who painted the mural on my sliding glass door, also created a handmade movie theatre marquee to be a large focal point within the room. Let’s face it, when it comes to party, everyone loves the food and treats! For this party, I wanted to have bit size foods. You could peruse your local grocery store for tasty appetizers, hand make them or a combination of both. I provided mini turkey burgers on Hawaiian rolls, Spring Rolls, Mushroom Caps, pineapple chunks, parmesan pups, star shaped crackers (I randomly found them at the store one day!) with a garlic, cheese spread & pastry puffs. To add additional height to my table, I used my stackable dishes to raise some of the appetizers and place others directly on the table. I made little tags to label each food out of scrapbook paper that mimicked the theme. I also used my scrapbook star punch to make a bunch of little star shaped confetti in the same goldenrod yellow that I used throughout the party. 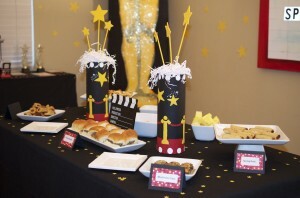 I used black table cloths on the tables as well as behind the Oscar statue’s. For drinks I found a non- alcoholic margarita recipe and named it a “Mamarita”. I served apple cider as well. 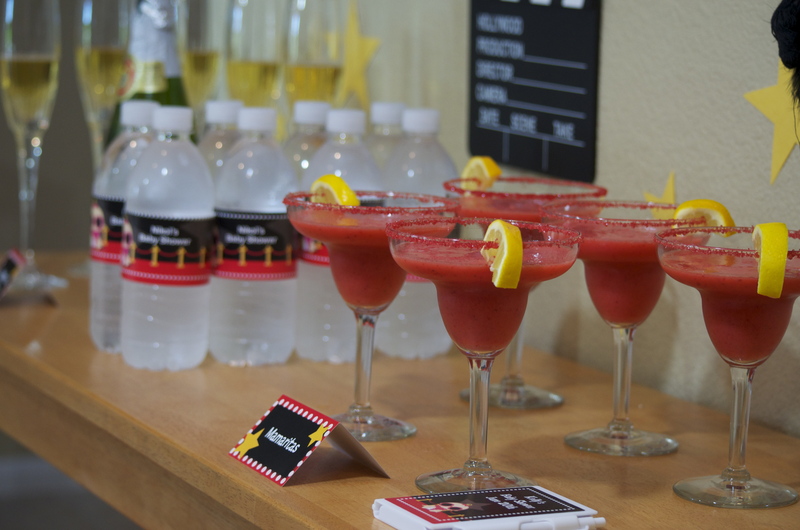 In addition to non-alcoholic drinks, you could add the spiked version for all the non pregnant guests! For the Mamarita, I used a strawberry recipe so that the drink would be red and match the color scheme. I bought a fine red colored sugar to dip the rims of the glasses in. At the last minute, I also added a yellow lemon wedge to bring in some yellow coloring. Another way I chose to incorporate the Candles & Favors themes was by using the water bottle tags. I set the drink table up on the opposite side of the open window so that the feather boa set up could serve as decoration above the table on this side of the window as well. I added a small clapboard for an additional touch. Fancy virgin cocktails and personalized baby shower water bottle labels. For dessert, I decided on cupcakes. I used the cupcake wrappers that match the theme for these. I made gold stars out of gumpaste to place on top of each individual cupcake. In order to complete the cupcakes, I knew that I would need black frosting. (Brown wouldn’t match and would send me over the edge! 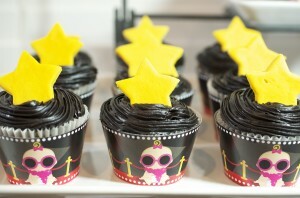 Plus, the black frosting dyes your guests teeth as an added prank!) Keep in mind when frosting cupcakes, using a piping bag and tip can alter the appearance of a cupcake and make them look even better! Another option I had considered was doing a star shaped cake but I am really happy with how these treats turned out. As additional decoration, I placed stars all over the walls of the dining room. My original intention had been to hang them with clear string so it looked like were just in the sky but I had vertigo and decided a ladder at 3 AM in the morning plus spinning was a BAD idea! But, you can keep that idea in mind! For centerpieces, I purchased 4 cardboard wine bottle holders and hand painted them to match the theme. I used 2 on the food table and the other two in the window display. 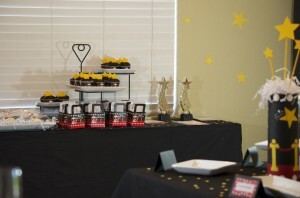 I added more star punch yellow confetti on the other tables as well. 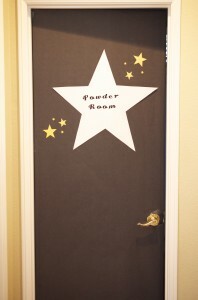 I also ordered a banner from Candles & Favors that read, “Lights, Camera, Baby.” I covered the bathroom door in black butcher block paper and a star that read, “Powder Room”. I had a few other doors near the dining room that I hoped to cover as well. 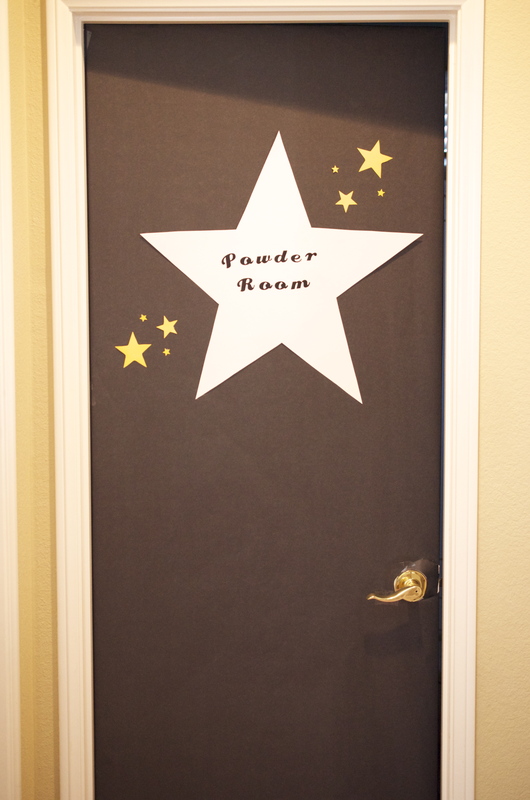 You could also make one a “Dressing Room” or put a star with the name of the mom-to-be or the baby-to-be. 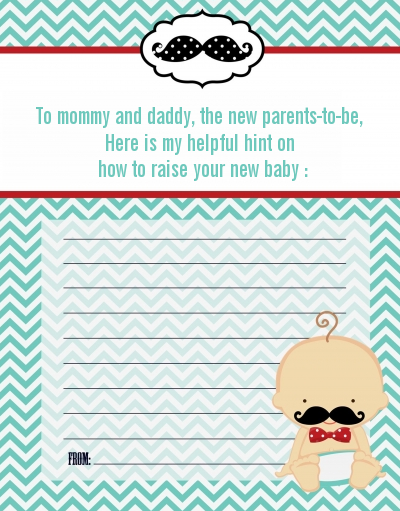 Of course, no baby shower is complete without GAMES! 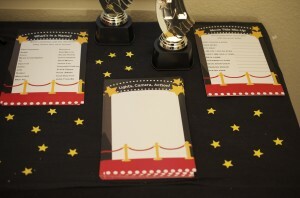 Candles & Favors did an incredible job of creating stationary for me with the games printed on them. So CUTE! I came up with three games for the guests to play. The first one was titled, “What’s In A Name?” I listed the names of celebrities on one side and on the opposite side the crazy names they had come up with for their child. The idea was to match the celeb to the unique baby name. The second game was “Movie Title Mix-Up.” I thought of movie titles with the word baby or movies about babies and then I scrambled their titles. The last game was “Lights, Camera, Action.” This is where the guests wrote their guess for the baby’s arrival, weight, length, gender. I purchased a few award trophies for the winners. 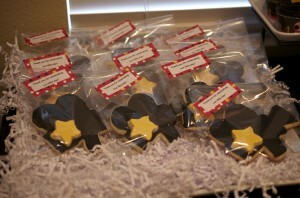 Lastly, I LOVE the idea of making the mom to be, the star of the day! She is after all, the celebrity of the party. Consider sending her to a morning of pampering before the shower begins. Have your guests dress in formal wear to really set the mood! 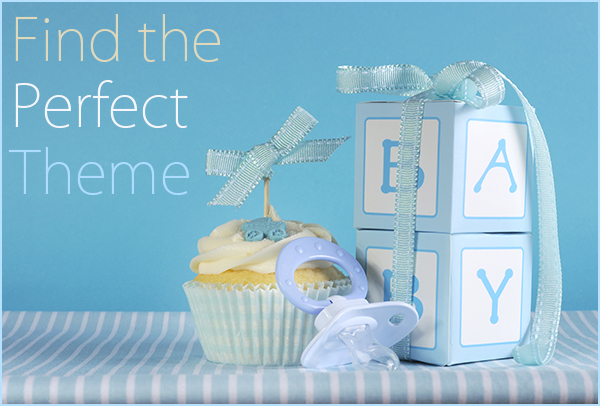 Pull out all the stops in order to celebrate the debut of the newest little star in your life! 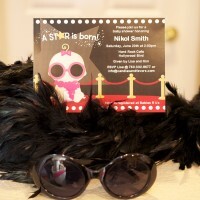 To view the above mentioned products just check out A star is born baby shower theme.